Q: What got you into the tea business? A: I started drinking tea when I was 8 years old. 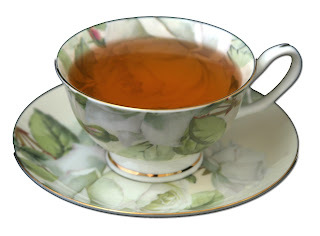 I had a wealthy aunt in Michigan, and I would go over to her house, and she would serve me tea in her fine china. It was just Liptons or Red Rose, but I got to use the fine china and no one was afraid I was going to break it. I grew up in a coffee centered household, but I always drank tea. Eventually, I started collecting tea cups. My aunt gave me part of her tea cup collection. In 2006, I opened a tea house. I was repackaging mostly German teas, with the goals of getting Rockwall interested in loose leaf tea. At first, you could hear the crickets, but over time, the interest grew, one person at a time. I love doing the “show and tell,” education work. I started blending my own teas in 2008. It is trial and error, like baking a cake. 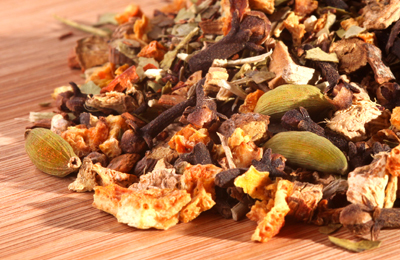 We have over 60 different blends, and the outlets are growing. We are at Central Market, tea rooms, coffee shops and high end gourmet stores. 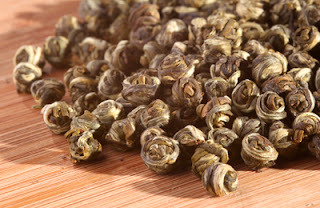 People may be drinking my teas and not even know it, as we sometimes sell to people who repackage tea for themselves. A: I love to pair my jasmine pearls with dark chocolate, especially in the afternoon. I love the floral hint. Q: Do you have a favorite teapot or teacup? A: My favorite teacup is the one my best friend gave me. She knew I loved tea, and gave it to me before I started the tea company. This is that teacup. Q: What do you love about tea? A: I love everything about tea. Tea people are the nicest people in the world. I’ve never had a mean customer. We are a growing clan. I do demonstrations weekly, and I find that a lot of people identify themselves as a tea person or a coffee person. More and more people are trying to add tea to their daily lives. 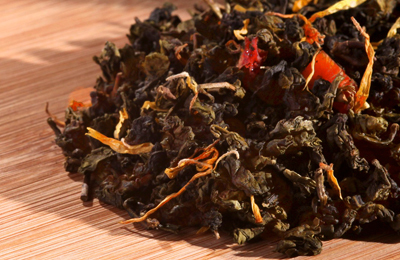 Get a free sample of sterling tea, and get tea instruction, and general tea info.